Meh. That was my overall feeling while reading The Moon and More. No push to keep going but didn't want to put it down either. To me this book was average, nothing to dazzle me. Which was such a disappointment because I love Sarah Dessen novels. The book takes place in Colby, the fictional North Carolina town Dessen fans know well. Emaline has just graduated high school and is enjoying the summer before starting college in the fall. Her and her boyfriend break up in I believe one of the first few chapters. Emaline's father who hasn't been around her whole life is suddenly in Colby for the summer. So maybe "enjoying the summer" isn't the right phrase. But she gets through it and as with all Dessen books there's a mini lesson or realization in the last few pages. Question: do you love every book written by one of your favorite authors? I feel kind of bad not being a fan of this book. But I couldn't connect to it like I can with her other novels. 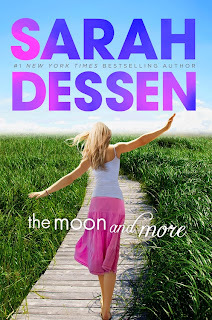 This was the first Dessen book I read and it left me asking, "WHY are readers so crazy about Dessen?" I felt the same way you did -- underwhelmed. I read JUST LISTEN after that, though, and was much more engaged. I haven't managed to write a review for this one myself because that's about how I felt... meh. Unlike pretty much every other Sarah Dessen book, I was able to put this one down. I couldn't ever really put a finger on what I didn't like... but I just felt it.... wasn't quite up to her usual standards. I've read all of Sarah Dessen's books to date, but this one left me feeling the most disappointed. I felt that Theo was annoying as hell, and there was no true romance between him and Emaline. I was glad to see them split apart. This book fell short in my opinion. I love her other books, especially Just Listen and The Truth About Forever, a lot more. Hopefully her next book more than makes up for this one. Definitely not - I just read the newest book by an author I like I didn't like it at all. I powered through it, but in the end was really disappointed! I did pick this one up at the library, maybe I'll just skip it!!! I definitely had a different reaction than you - I loved The Moon and More! I think it's the best out of her recent books, but I also haven't read a Sarah Dessen book in awhile. I just got What Happened to Good-Bye from the library so we'll see how I like that. Sorry to hear this one was very lukewarm! 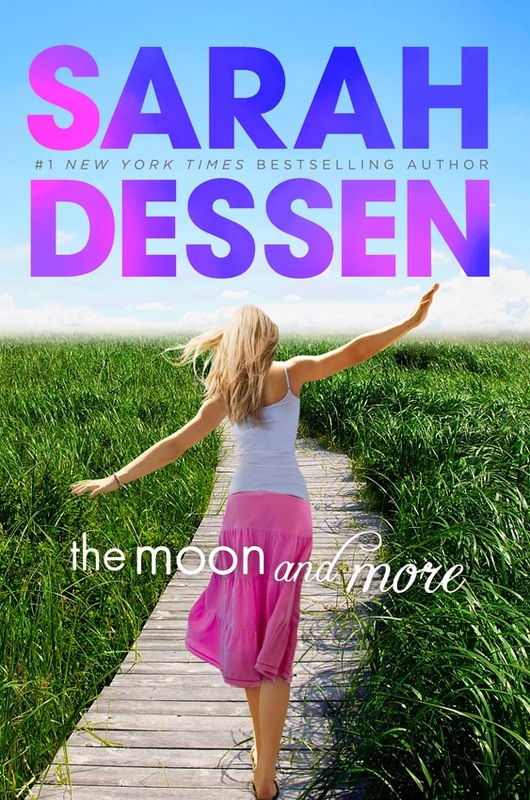 It's been a while since I picked up a Dessen book, but I have so many fond memories of loving them as a teen. I definitely don't love every book by my favorite authors. In fact, I don't read every book by my favorite authors! Sorry to hear to didn't love it. With an author with as many books as she has there is bound to be a few that you don't love. Sad but it happens!